Simple ingredients, simple methods. At Stamfrey Farm we like to let nature do most of the work to create our unique delicious dairy products. Everything we make on the farm comes from the milk produced by our organic, grass-fed cows who contentedly graze the fields overlooking the North Yorkshire Moors. We also make the most of the energy systems that nature provides such as solar power. The success of our products relies on the sun! 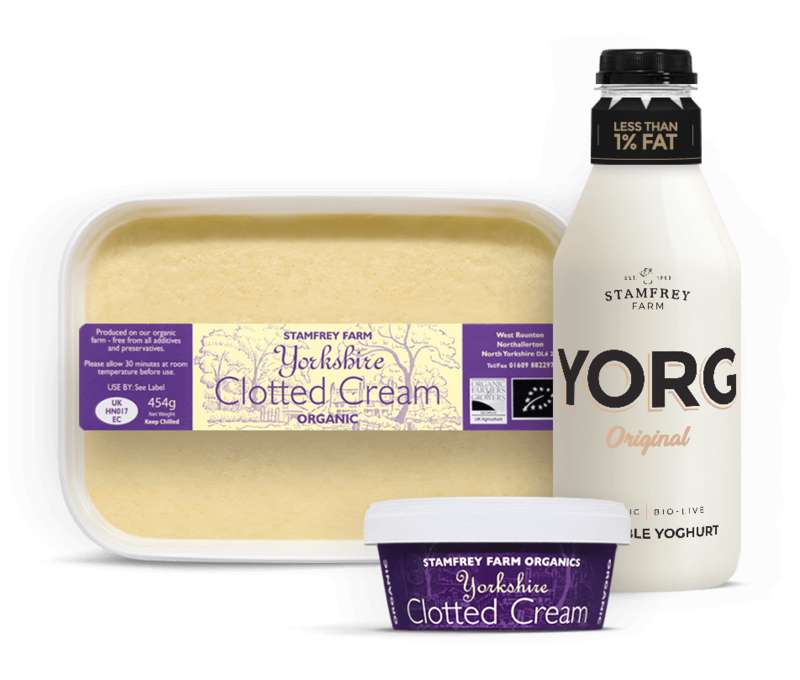 The team at Stamfrey Farm Organics take pride in the way our clotted cream and YORG yoghurt products are crafted. For any batch, we can trace back to the exact field the cows were in. The story of why we began producing clotted cream at Stamfrey is very simple and the traditional methods remain to this day.